It so often happens that people end up having a car they should have sold when it was possible. But sometimes when cars get too old, rusted, totalled or anything else that renders it useless, the task of getting rid of it gets difficult. Many car owners leave such cars unattended and park them for an indefinite period of time. This is because the car now requires too much effort to be sold, in terms of time as well as money. The option of taking it to a junkyard for a few hundred bucks is still there, but nobody wants to go through the hassle of towing it all the way and barely getting back as much as they spent to take it there. 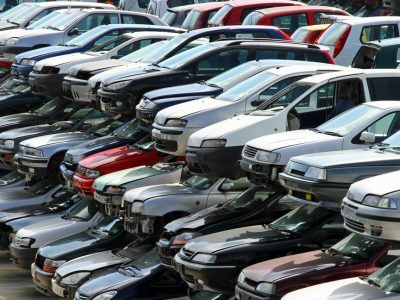 To deal with such cars, Western Metal Recycling offers its Cash for Cars services to car owners around the Perth region. Basically, a cash for car service lets you trade in your vehicle for a fairly good amount of money depending on the condition of the car. You donï¿½t have to worry about the fact that your vehicle is considered useless under such conditions. We buy cars of all makes and models no matter the condition or the manufacturing year. The only requirement for selling your old, rusted, scrap or totalled vehicle is your willingness to get rid of it and a single phone call! Cash for Cars services at Western Metal Recycling are designed in such a way that you as a car owner have to put in the least amount of effort in order to sell your vehicle to us for cash. Below, weï¿½ve broken down the comprehensive process in a few steps. This is the part where you have to take the initiative in order to sell your unwanted car. All we require from you is to give us a call or fill an online form. As soon as we have the required details about the concerned vehicle, we are going to offer you a no obligation quote for it. Once both parties have settled on the quote, it is time to make things happen! You can let us know what would be the ideal time for our staff to arrive at your location anywhere in Perth. Our tow trucks are on duty 24/7 and you can pick a time which is most convenient to you. As soon as our staff arrives at your location, they will do a quick inspection of the vehicle in person to ensure everything is in order. Our staff brings the exchange documentation for you to sign, in order to make the purchase official. While we tow your recently sold vehicle away free of cost, you will be given your promised amount in the form of cash right on the spot! This is how simple the process is for you to sell your car for hard cash anywhere in Perth. No hassle, no extra charges and the least amount of effort is required from your side of the deal. If you happen to own an unwanted car anywhere in Perth, avail our cash for cars service and get up to $10,000 depending on the vehicleï¿½s condition. But that does not mean we donï¿½t buy vehicles which are in bad shape. We buy all kind of vehicles, whether they are scrap, rusted, non-functioning, or just too old to be sold on the market. Give us a call at 0415 227 955 and get a free quote right now!